Do you track your workouts? In: Blog, Live Fit., Move. As the old adage goes, ” Fail to plan, plan to fail.” I’m sure among the high-level executives, leaders, business owners, educators and parents who are members at Flow, these words have come out of their mouths at one point or another when describing ways to become successful. It’s true. From motivational speeches to self-help books, one of the themes that resonates with each chapter or spoken word is that without a map, you are bound to get lost. While this message seems to make perfect sense to me, it can fall on deaf ears when it comes to people’s workouts. Each day I come in to work, I see countless people wandering around looking for the next exercise to do or scratching their heads as they decide how much weight they should put on so they can perform the coveted “three sets of 10” on each exercise they select. Occasionally, I’ll see a person copy the same workout a trainer or an extremely fit member is doing. But rarely do I see a member enter the gym with a binder, a notebook or a smartphone (with the notes section open) or even a piece of paper with a detailed program that will get them through the next few months of training . 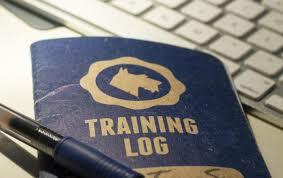 By keeping this training journal, you have an instant resource on how to prepare for the workouts ahead. Further, with this ever-evolving resource, you can make adjustments to your program based on previous successes and failures, which add to less frustration, less plateauing and better results. Having a program and recording your progress is probably one of the easiest adjustments that you can make to your current training regimen that would drastically improve your results. Take action today and start drawing your own map to a better you.